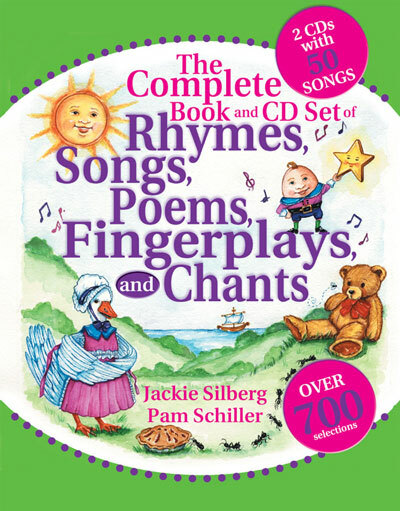 Featuring more than 700 songs, rhymes, poems, finger-plays, and chants, this volume gives children a variety of ways to fall in love with rhythm, rhyme, repetition, and structural sequence - important building blocks for future readers. The 700 selections will help children aged 3 to 6 years build a strong foundation in listening skills, imagination, coordination, and spatial and body awareness. In this giant book of rhythm and rhyme, you are sure to find your own childhood favourites! It includes a free CD featuring 50 favourite songs guaranteed to get children up and moving. Jackie Silberg is an early childhood advocate, and professional public speaker. Pam Schiller is a recognised authority on child development and author of numerous books.